My sister (far left) married into a pretty great family. Over the past 5+ years I’ve basically made them my own family. 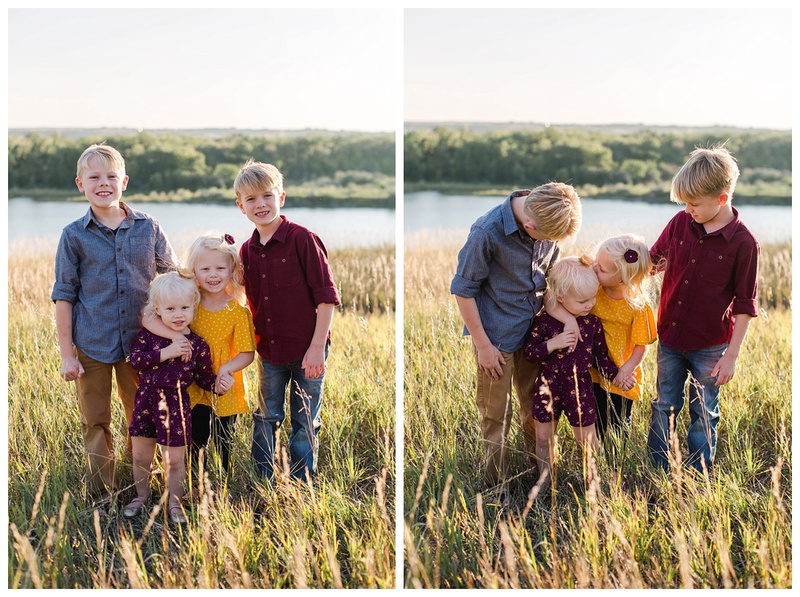 It’s always a privilege photographing their family and spending time with this awesome group! 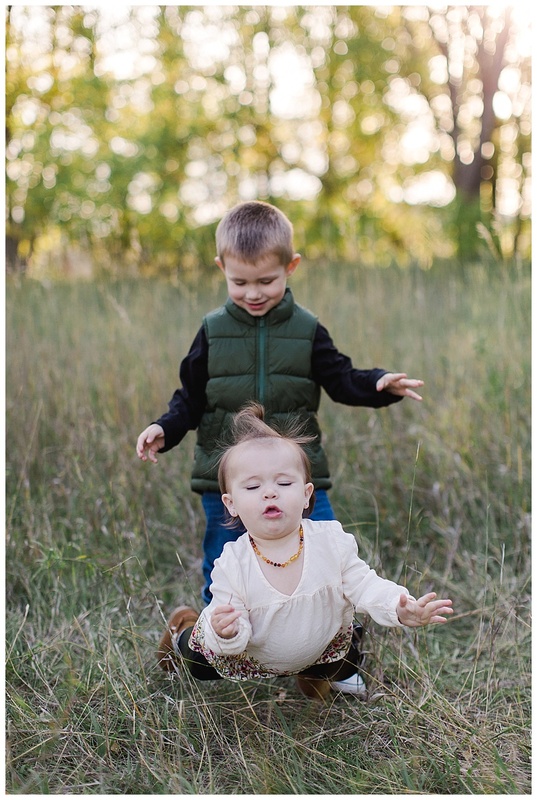 And then there is my nephew Corbin, I guess he was over holding up his little sister Kendall?! 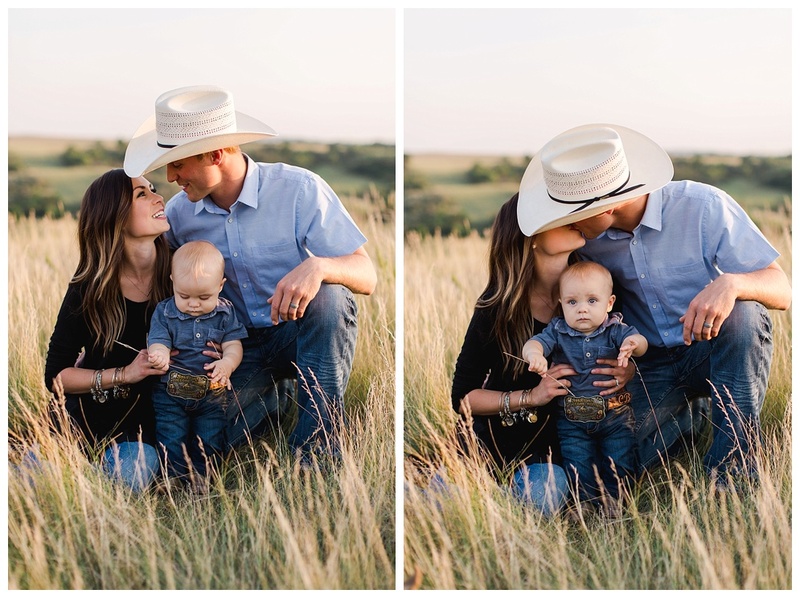 It’s no secret Black Leg Ranch is my favorite wedding venue in the area and this right here is part of the amazing family behind the business. 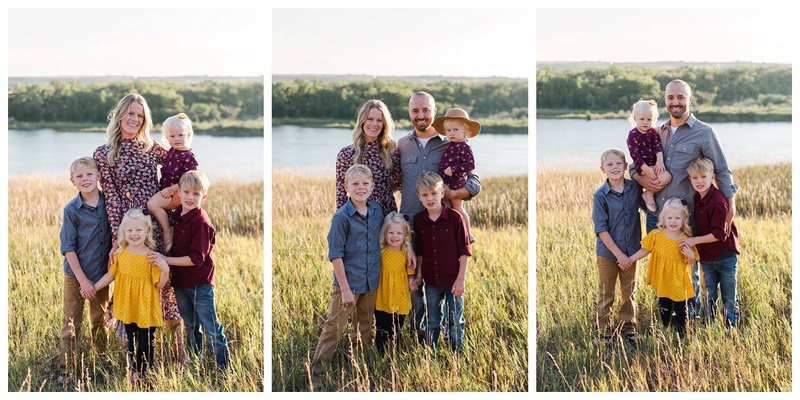 Jay and Kari always make photographing their family fun and easy with their good looks and well behaved adorable children. 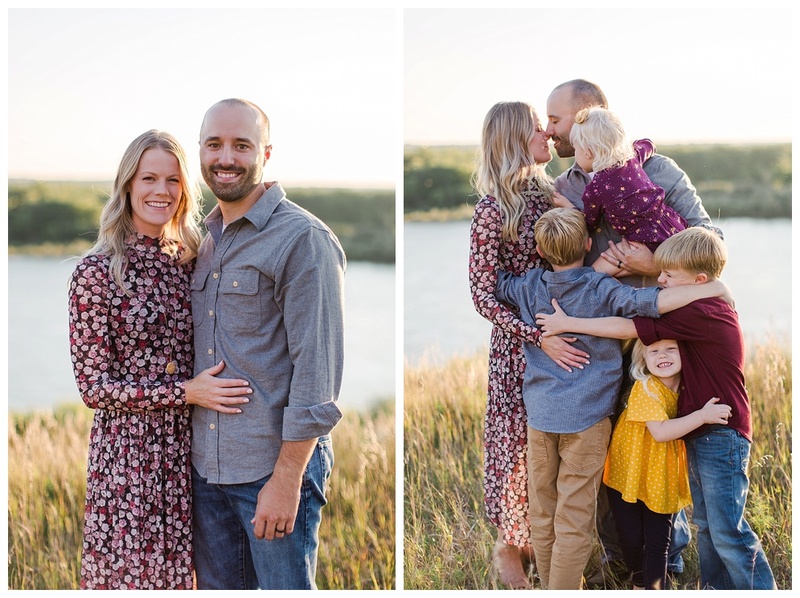 On a gorgeous August evening I joined the Breuer family for a perfect family session. Cahl has the best blue eyes and his smile was worth the work. This family is basically magazine worthy, they are so adorable and they have personalities to match. Three beautiful little girls made for a fun morning session. Who wouldn't want to start their day with some baby snuggles?! Big sisters Maria and Anika did an amazing job of showing me how helpful and loving they are with new sissy. Anika was quick to take charge while bringing some great laughs to the family. 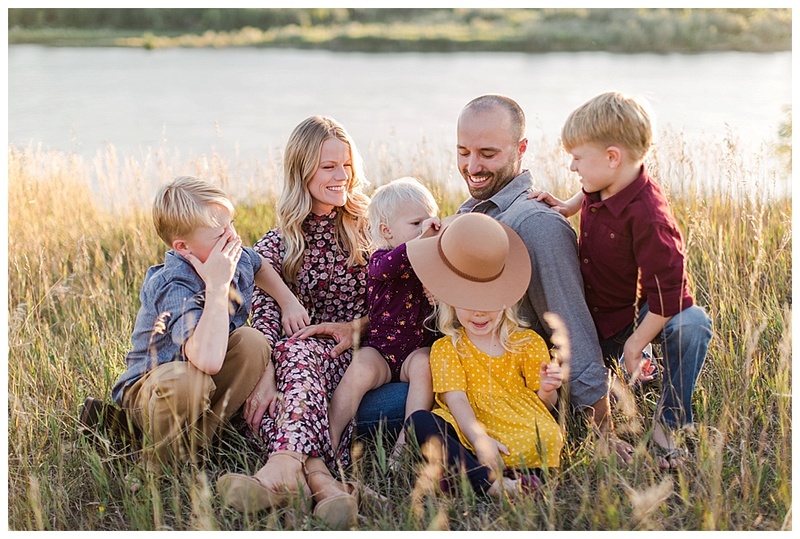 Thank you Cashman family for inviting me into your gorgeous home and photographing your beautiful family! 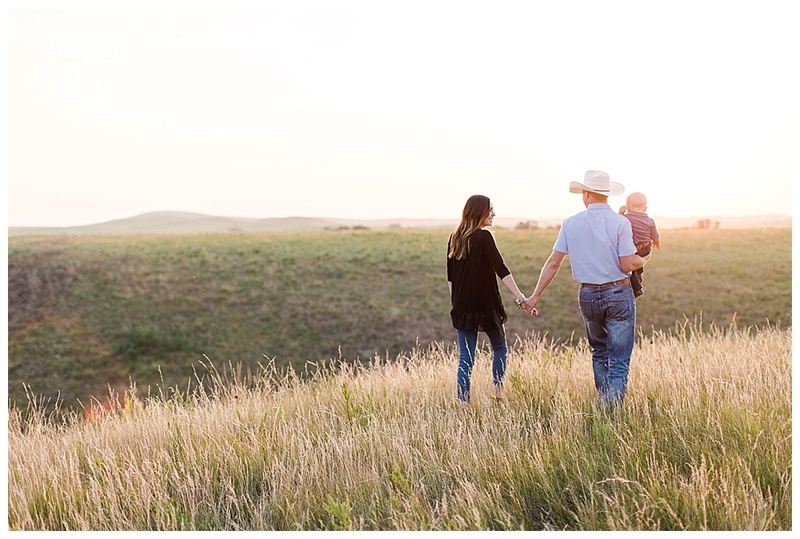 I love when families invite me to their homes or ranches/farms for pictures. It's a nice change of scenery and often presents a fun challenge of finding good light while getting to do a little exploring. 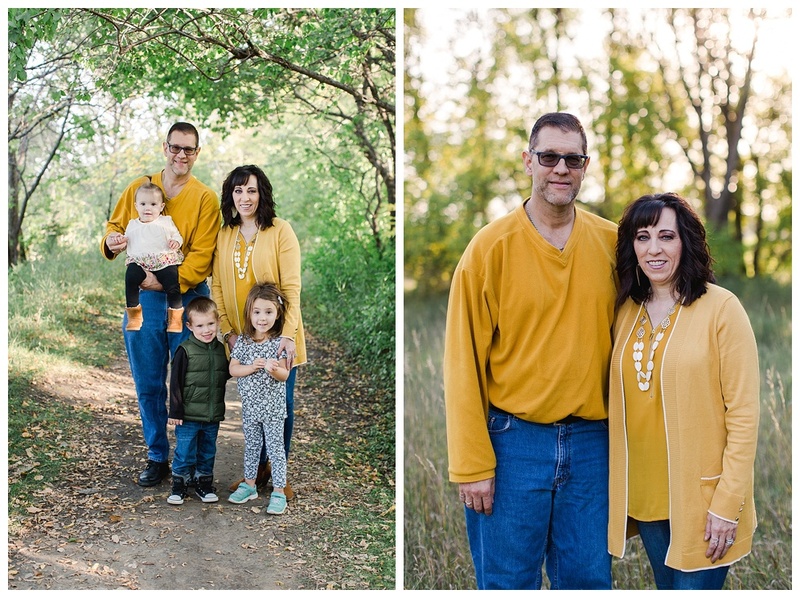 The Bly family had a beautiful big tree with a tire swing in their yard which made for some great lighting while the sun dropped a little where we took most of the pictures. 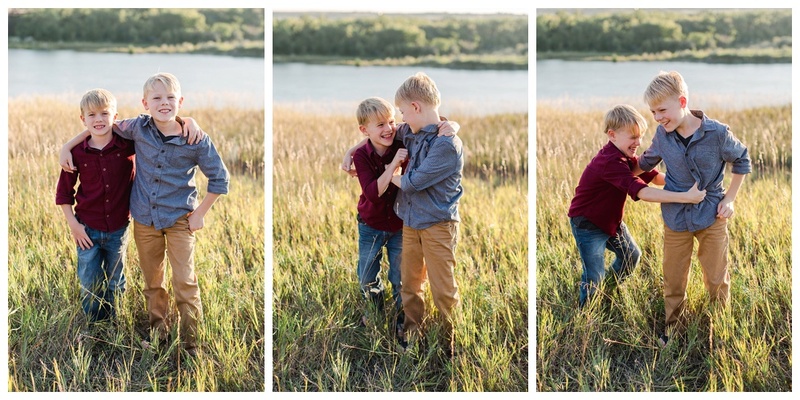 We also battled the mosquitoes for some field pictures before ending the evening in front of some old silos. 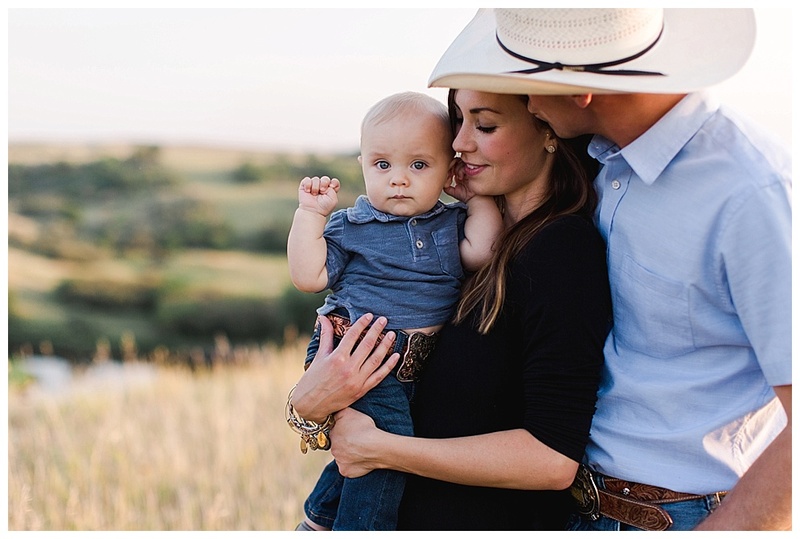 I met Cassandra a few years ago while photographing a styled shoot in the Badlands. She is an extremely talented make-up artist who I refer all my western ND clients as I think she does an impeccable job. She asked me to do a "mommy & me" session over a weekend we had planned to work together on a wedding.....of course I said yes! Cass came up with the styling, my only real contribution was the rug and tipi. Her little family was so cute and the bond her children have made me really excited for Bristol to be a big sister. Thanks for having some fun with me and introducing me to the family, can't wait to photograph you guys again! 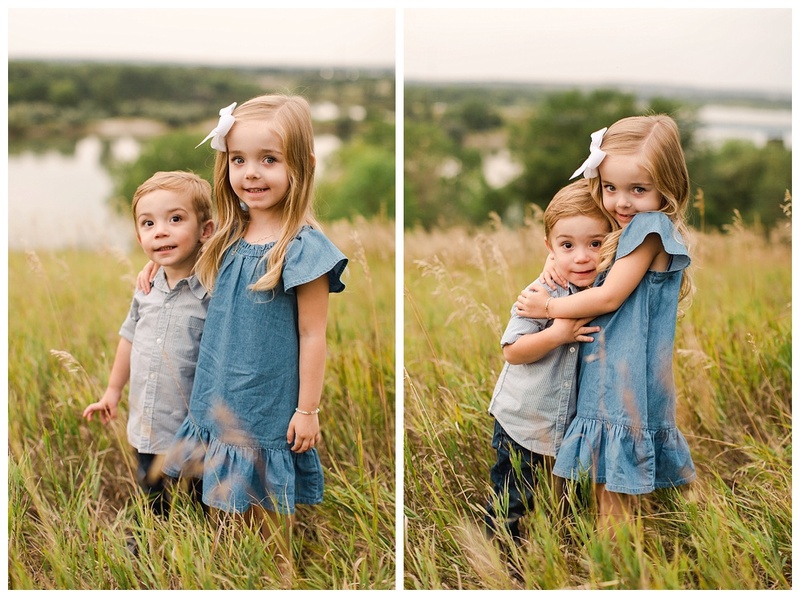 The blue eyes these girls have are going to cause lots of trouble for daddy in the future :) Lucy was amazing with her little sister Anastasia during their session, so helpful and well behaved. Anastasia made me work for the smiles but they were totally worth it. 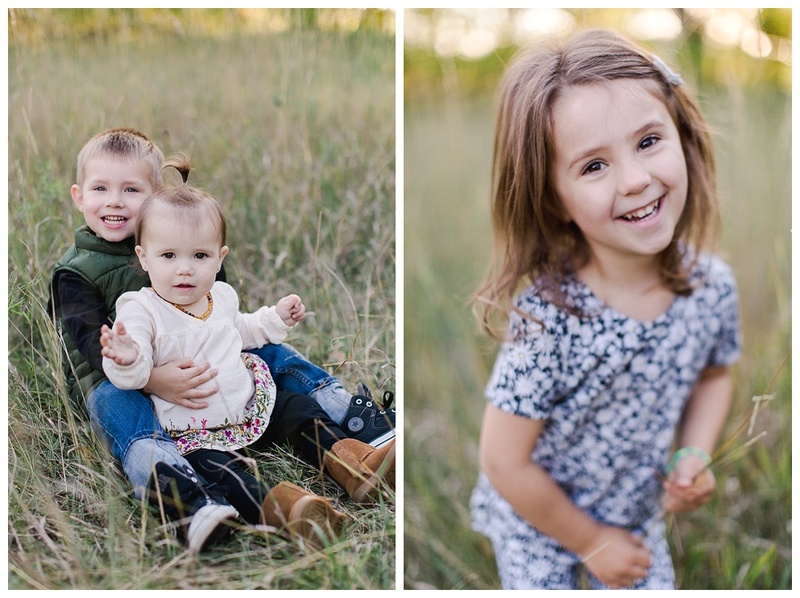 Can't wait to continue photographing this family and watching these cuties grow! Look at that adorable little face! Leni is so sweet and cute, I basically want to just cuddle her. I've had the pleasure of photographing this little honey since day 1 and she always comes ready to shine. I have found that the older I get the less I want. I use to dream of lots of material things; now I find myself dreaming of places, experiences and more time with those I love. These right here, these are my people. My loving husband Tyson, my adorable wild child Bristol and this growing baby bump. Fresh into my 29th year of life I am celebrating another year of good health, supportive family and preparing for our newest addition Rowan Rose. 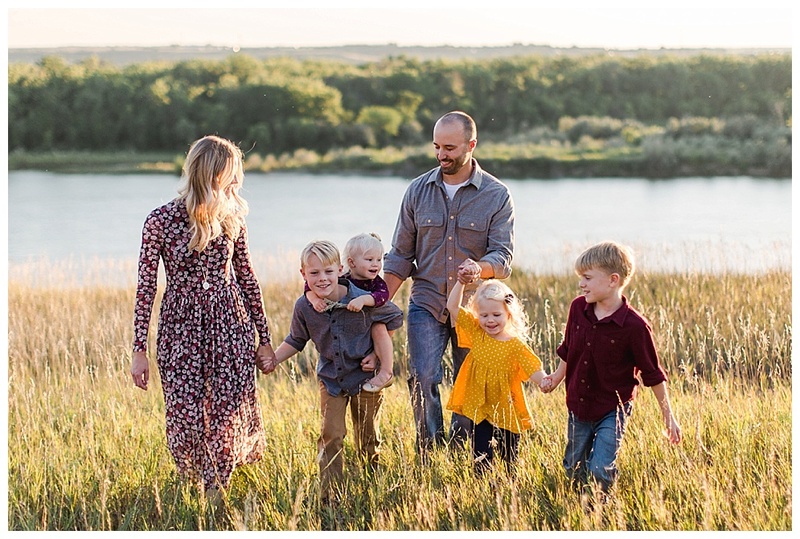 So here is a little post on where we as The Schwab Family are! Let's start with this guy. He is pretty awesome and easy on the eyes. We got to celebrate year #2 of being Cancer free this spring which is always a big deal. He has fully dedicated all of his free time to his little princess Bristol and had a couple of wedding images he took published. In case you didn't know, he is my main 2nd shooter for weddings these days. With 3 deer tags and 1 antelope tag to fill, he will be spending the majority of his fall hunting the Reservation stocking our freezer (fun fact: we basically only eat meat we hunt or fish). Growing a human hasn't been as exciting the second time around. I have a medical condition called Achalasia that I was diagnosed with and have been treating since college that has decided to be unkind during this pregnancy. With Bristol I felt like I was happy and glowing for 9 months, with Rowan I just feel exhausted and huge! Running after a very active 2 year old probably doesn't help my case. Bristol is over the moon excited for her "baby sissy Rowan" to arrive. Last week she told everyone "babies comin" this week is full of "I'm a big sister". After 3 years of marriage we finally got to celebrate our wedding anniversary. Our 1st anniversary we spent in the hospital delivering Bristol, our 2nd anniversary I was too connected to Bristol to leave her, but this year......this year we celebrated! Sure I was 9 months pregnant drinking water instead of wine and we were in bed by 10pm. Thanks to my parents for taking Bristol for the day, we enjoyed an afternoon of massages, a nice dinner downtown and a sunset cruise on the Bismarck River Boat. Some days I think, how did I get so lucky? Other days I want to jump out of the car and get an Uber to our destination, but that's marriage. I don't like when people try to pretend everything is perfect, that's not real life. We love each other but we argue. Mainly over his terrible driving, seriously if you see us in town and he's driving you can guarantee I am yelling at him for something. He also likes to make fun of the way I load the dishwasher, probably because I do it the right way he just hasn't accepted it. I've also created a bit of a problem with our daughter Bristol, see she likes to do this thing we call shopping. If she is in the car between 9am and 11am she will ask for "my cake pop, my tea" because that usually means we are going to Target. She also walks the isle of every store grabbing things that are "cute" and insisting she gets them...Tyson's not a real fan of that......some arguments have occurred from this new found love of shopping Bristol has developed. But, we still have this deep love for each other that nothing and no one seem to stand between, so thats a plus after 3 years of marriage. I know the next year will have some bumps with a new baby, less sleep and some international driving on the horizon, but the adventure will continue and our love will grow more and more and for that I am grateful! Bristol turned 2 on August 23rd, but if you ask her how old she is she will answer 9. She is my wild child. She loves to jump off everything, is obsessed with animals and loves to swim. Her attitude these days is so bad it's actually funny. She literally picks arguments with me just to make me mad. Like arguing that a truck is a car or a bear is a tiger, just to get me annoyed, then laughing when she finally agrees I am right. With constant hugs, kisses, and I love you's she has stolen our hearts and phone memory. Her favorite person is Papa, my dad. Her favorite color is Orange like Nemo or Blue like Dory depending on the day. Her favorite drink is a tea from Bitty Bean or apple juice. Her favorite song is I Like It by Cardi B on the radio. Her best friend is Paizlee or Bor Bor (Corbin). There is a 50% chance you can bribe her with a sucker, the other 50% is you just giving it to her because now she is throwing a complete fit over the sucker and the idea of getting her to smile, sit, eat, etc that the bribe was originally for has gone out the window. She loves to do flashcards naming off animals and colors and really enjoys painting, especially when she gets to do it with Jessica Wachter. Bristol spends everyday talking about her baby sissy. She likes to start her day listening to her heartbeat with the doppler we have, she talks into the speaker like its a phone saying "hi sissy". She also loves showing off my belly to anyone who mentions the baby, this is not favorable when I am wearing a dress! We spend a good 5 minutes having a meltdown because I won't allow her to pull my dress up to expose my belly, I have stopped wearing dresses for the most part due to this issue. She also enjoys trying to share her food with sissy via my belly button. We've had a few arguments about the way the baby gets food, Bristol is stubborn and still believes it goes directly from my belly button to the baby and at this point I have just gave up with the fight. Our nights end with kisses and cuddles hoping for some big kicks from baby acknowledging she is there and so much joy when she finally gets to feel one. I think I am most excited to see how Bristol interacts with her new sister and praying the happiness and excitement last longer then a few days, if she's like me we will have some jealousy issues, if she's like her father she will be extremely kind. As for me, well I am currently just a beached whale. I've been enjoying my weekly chiro appointments with Dana at Bismarck Sports + Spine, completely pampered myself thanks to Haley Beechie & Lotus and have tried every natural remedy available to get this baby out from acupuncture to tea. We even spent a few days out hiking and hunting trying to walk this baby out. No bucks or baby. Luckily, I have an amazing medical team at Mid-Dakota/ St. Alexus that I am ready to embrace my time with. I actually look forward to my weekly appointments with Dr. Delvo and knowing that they are numbered is pretty sad, guess I will just have to keep having babies so I get to hangout with Delvo and her nurses :) I'm sure my good friend Sommer, the PA in L& D, will be happy when I have had this baby so I can stop texting her at all hours of the night with questions and concerns....sorry Som!